China has huge internet users, but government wants build an individual network that separated from outside the World Wide Web. Chinese people called that it is a Great Firewall, and government calls that Golden Shield Project. People want use different ways to through out this big wall, proxy, VPN, anonymous software, Tor. 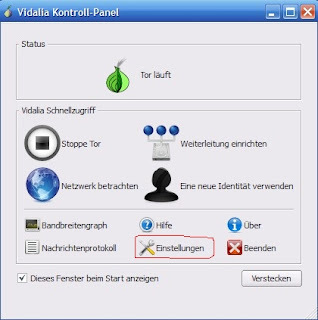 A German website has a project that called Tor Browser, it puts Tor and Firefox browser together, you can install it with your USB flash drive. It is similar XeroBank, OperaTor. You can open application to go without configuration. 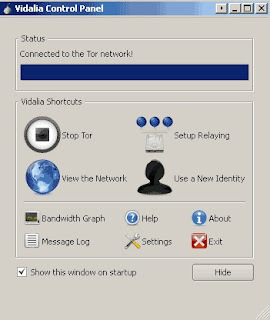 The browser connects Tor network automatically, so you can use it through out the great firewall to surf outside the world. It is not only for Chinese people, it is also for anyone who wants surf internet unrestricted. You can click here download it. 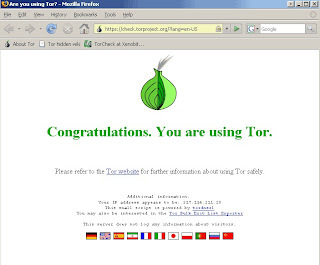 Tor Browser is a multilingual software, its default interface uses Deutsch, you can change language in option. Look at a screenshot below, click red parts to change language. It is easy to use. 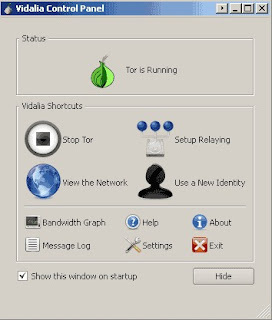 After you installed software ( you can install it anywhere in computer or a USB flash drive)，click "Start Tor Browser", it opens a small window that is Tor client. Wait a moment, first time maybe a little bit longer. After Statue bar is full it will automatic open Firefox browser. If this small onion change to green color that means your computer is connected Tor network. Now, you can surf internet unrestricted. The default Firefox is Deutsch version, if you want use other language version you can go to Portableapps download your favorite language version. To instead of Deutsch version just deleted it and put new version that you downloaded into same FirefoxPortable folder. Notice: you need change browser's network access, go "Tool" - "Options" - "Advanced", in "Network" section click "Settings" open another window, choose "Manual proxy configuration". Choose SOCKS v5. Click "OK" button, all done. See screenshot below.